Students attended a kick-off assembly for our QSP magazine fundraiser today. Children are taking home packages so please check backpacks for the information! The QSP campaign runs from today until Oct.12th, 2016. Thank you for supporting this fundraiser! IRC students in Grades 4 & 5 are invited to participate in the Bike Rally-tomorrow, Tuesday Sept.27th @ 9:00 a.m. in the schoolyard. Grade 4 & 5 students will need to bring their bike to school in order to participate and are asked to please park their bicycle in the bike racks at the front of the school or along the kindergarten fence. Officer Eric will meet the participants in the yard to start the Bike Rally right after morning announcements. Grades 2 & 3 will have an opportunity to participate in a Bike Rally on Tuesday Oct. 4th (please note the change in date to accommodate the Cross Country meet). QSP FUNDRAISER BEGINS THIS THURSDAY! The IRC QSP Magazine Fundraiser begins this Thursday September 29 through to Wednesday October 12. A portion of the proceeds from every subscription sale goes back to our school and helps us fund various school initiatives like technology for our classrooms and sports equipment for our gym! Don't forget subscriptions also make great gifts! Consider purchasing one for a friend or loved one for this upcoming holiday season - it's a win-win! Information packages will be sent out with students this week. Please place your orders online at www.qsp.ca. Our School Online ID is 3721206. We have set our fundraising goal this year to $10,000 and we need your help! 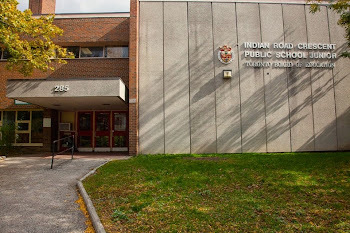 Simply log on and select Indian Road Crescent Jr PS and search for your child's teacher's name and grade BEFORE shopping so your child gets credit for the sale. There are great prizes to be won, including a collectible Garfield keychain for each magazine subscription you sell! To assist in your fundraising efforts, don't forget to send emails to friends and family, encouraging them to order a magazine subscription. Thank you for supporting IRC! 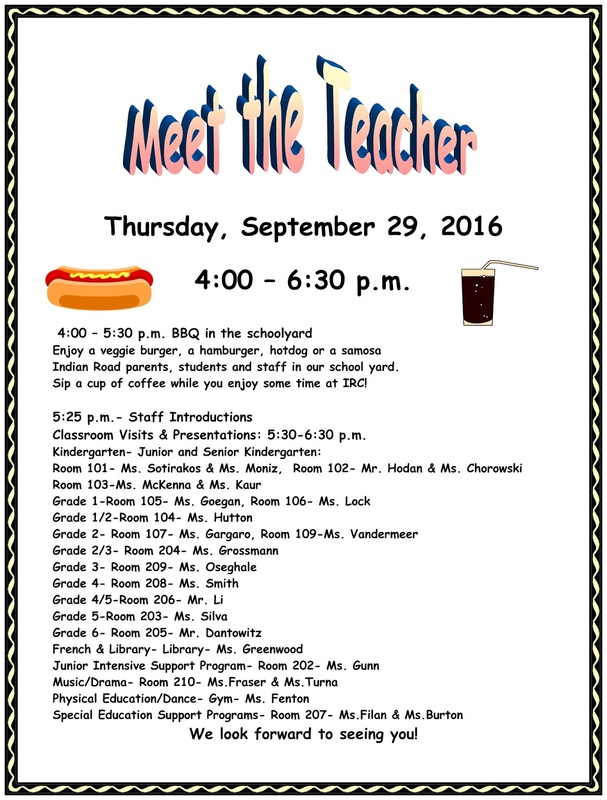 MEET THE TEACHER BBQ - THIS THURSDAY! The first Parent Council/School event is our “Meet the Teacher/Curriculum Night” scheduled for Thursday Sept.29th from 4:00- 6:30 p.m. Volunteers are needed to assist with the BBQ/Meet the teacher portion of the evening. If you are available to help out, please let us know! We look forward to seeing everyone Thursday. 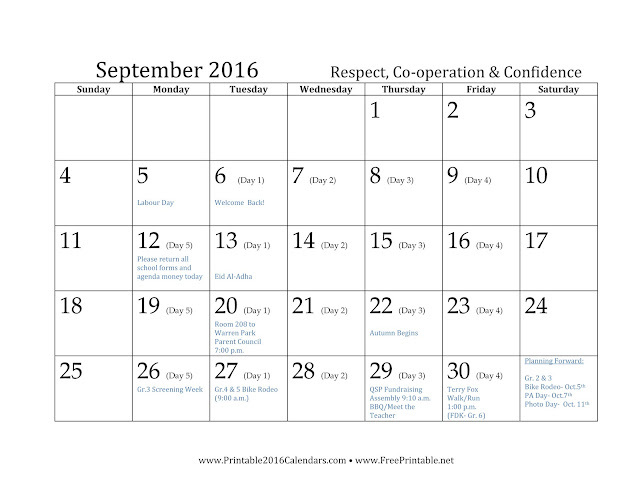 Thank you to all the parents who attended last week's first Parent Council Meeting of the school year! It was a little longer (and hotter!) than usual, but first meetings of the year tend to be. But for those of you who were there, you saw first hand the important role parent council plays in supporting our school. These monthly meetings are where important decisions are made and previously raised funds are allocated to various school programs, classrooms and initiatives. These decisions directly impact all of our children at the school so the more parent voices we have in the room the better the students' needs are represented - so PLEASE try to attend! Coming to parent council requires only as much commitment as you are able to give. You do not have to take on an elected position or volunteer for anything if you don't have the time/means to be able to contribute, though it is thanks to hard work of the various Chairs and Volunteers that we are able to fundraiser and provide for our school in the ways that we have. Just being a present voice and vote at the meetings is a very valued contribution! Meeting minutes will be posted here as soon as they are available. Stay tuned! PIZZA DAYS ARE BACK AT IRC! Look for the yellow pizza forms that was sent home with students last week. Please return all pizza order forms by Friday Sept. 30th. REMINDER: Parent Council Meeting this TUESDAY! You can download the school council interest form here. 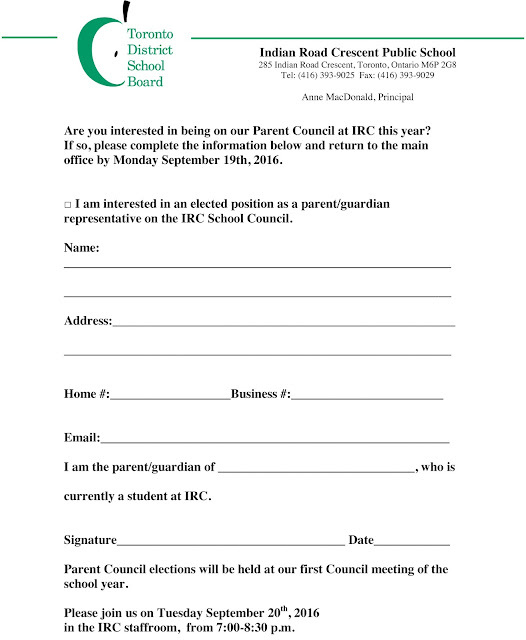 Please consider putting your name forward as a parent council member this year. All parents of students who attend IRC are invited to attend parent council meetings. The first meeting is Tuesday beginning at 7:30 p.m. in the staffroom. Decisions regarding fundraising will be discussed at this first meeting, so please plan to attend! Thank you for a wonderful start to the school year! We have welcomed 334 students to IRC over the past two days, and are continuing to monitor several classes that have particularly high student numbers. If there any changes to be made to our classroom organization, this information will be communicated by Friday Sept. 16th (at the latest). In the meantime, thank you for your patience and support. 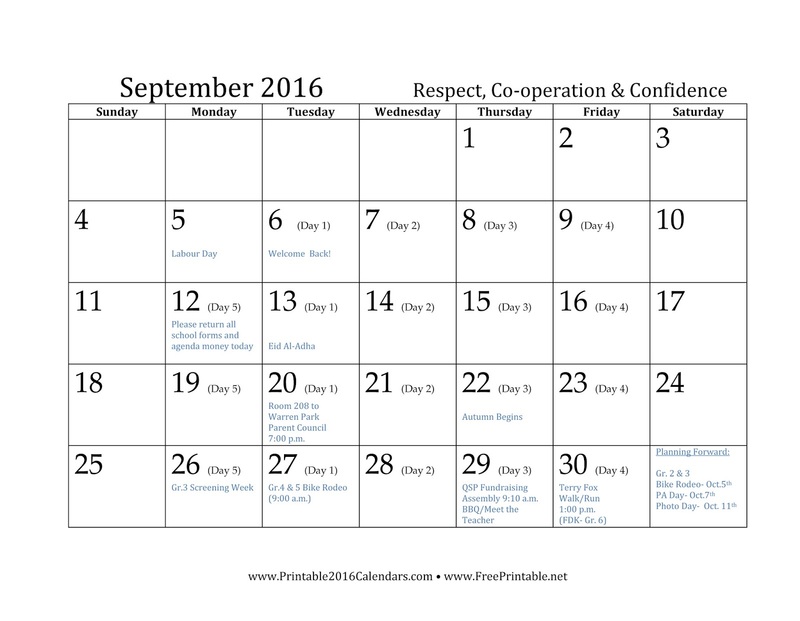 The first Parent Council meeting will be held on Tuesday Sept. 20th from 7:00- 8:30 p.m. in the school staffroom. Parents are encouraged to return the attached interest form in order to be considered for the election of the executive positions on the council this year. You can also download a pdf here.